Electronics professor Clay Rawlins, a faculty member since 1972 remembered for his care for students, love of steam trains and Bob Dylan, died March 26 of complications from throat cancer. He was 70. Rawlins, a Naval Air Force Reserves veteran, was a genius electrician, according to his best friend and co-worker Chuck Dale. He and his son, Rusty Dale, still teach in Eastfield’s electronics and mechatronics program. Education was one tool Rawlins used to make that impact, Chuck Dale said, but the classroom wasn’t where his interest in students stopped. Rawlins would keep up with his students for years after they graduated the program and help connect them with employers. Students still return to Eastfield to update Rawlins and Chuck Dale on their success after the program. Rawlins was born to Robert E. Rawlins and Juanita Rawlins in Dallas June 25, 1948. He graduated Richardson High School before getting a degree in electrical engineering at SMU and later a master’s in vocational education from Texas A&M-Commerce. The family suggests donations to the American Cancer Society. In addition to teaching at Eastfield, Rawlins worked from 1974 to 1980 as a full-time faculty at Mountain View College. He began full-time career at Eastfield in 1980. Chuck Dale was the head of the program when he and Rawlins first met. Rawlins came with his wife to tour the facilities when Eastfield opened in 1970, taking a break from his work helping make sure pavement on Dallas-Fort Worth International Airport runways were properly done. Chuck Dale said he didn’t know when he met Rawlins that the two would become best friends. Rusty Dale said his dad and Rawlins had absolute opposite personalities — Rawlins being quiet and reserved while Chuck Dale is more outspoken and a louder man — that’s one of the reasons they were such good friends and worked so well together. The thing that truly mattered was their shared devotion to students in their programs. 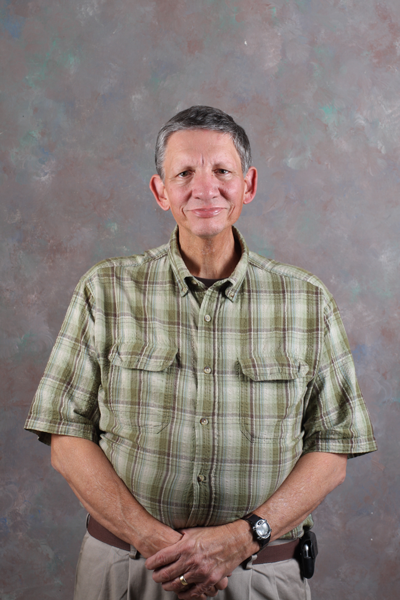 Arch Dye, a professor in the electronics and mechatronics program, said one of his favorite things about Rawlins was his excitement at learning anything new and how talented he was at relaying that knowledge. Chuck Dale said Rawlins was his go-to guy for information of any kind. At times when Rawlins didn’t know the answer to a question, he would go home and research it that night, coming back with the solution the next day. Chuck Dale delivered the eulogy at Rawlins’ funeral, where those who knew Rawlins overflowed from the chapel at Restland Memorial Park into the cold, whistling wind March 30. Rusty and Chuck Dale both said Rawlins’ love for family outweighed everything else in life. Rusty Dale said the happiest he had seen Rawlins in a long time was when he announced a few weeks ago that his son, Tim Rawlins, was engaged to be married. “I think that was the most excited I had seen him in I don’t know how long,” Rusty Dale said. The Rev. James Cole, who delivered a sermon at Rawlins’ funeral, said his most important qualities were love for family and kindness toward others. A quiet man most of the time, Rawlins’ true-to-life sense of humor was a surprise to some who had just met him. Cole said he had only known Rawlins about eight years, but he felt he knew him well. In addition to his love for family, his passion for any work he did was a defining characteristic of Rawlins. His textbook, “Basic AC Circuits,” is still used today across the nation, according to Chuck Dale.